With a growing number of social networks, it can be difficult to determine where businesses should put their attention and resources. As as each social network is different, they each require their own content and engagement strategies for their unique audiences. In order to get started on social media, and quickly grow their presence, businesses need to know how to leverage each of these popular social networks to better connect with customers and prospects. With that in mind, HootSuite University has created A Guide to Getting Started on Social Networks. Learn what you need to know for your business to get started, and excel with social media. 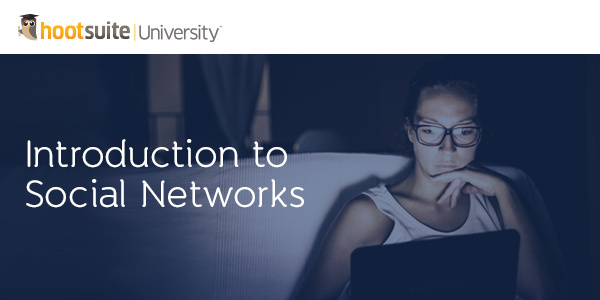 Download the Guide to Getting Started on Social Networks today. For further guidance on how to get started on today’s top social networks, HootSuite University offers a simple 20-minute on-demand video course on how to get the most value from social media. Enroll to access the course here.